In early 2014, a young Toronto-area man who went by the jihadi nom de guerre "Abu Huzaifa al-Kanadi" (Abu Huzaifa the Canadian) cleaned out his bank account and left to join the ranks of ISIS. He was 17 going on 18. His parents were kept in the dark about his intention to join the extremist organization, he said. 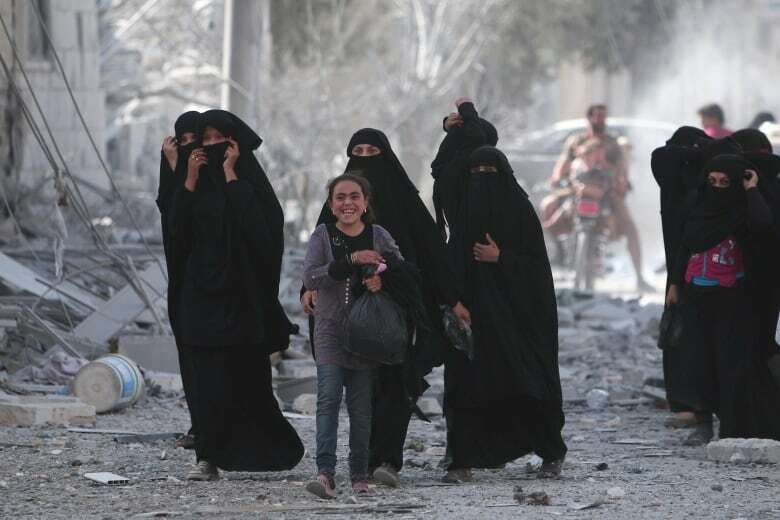 Five months after serving as an ISIS enforcer in the Syrian city of Manbij, Abu Huzaifa said he realized it wasn't what he had signed up for and he decided to flee Islamic State in Iraq and Syria [ISIS] and head home. Abu Huzaifa would only agree to speak to the CBC on condition that his real name and identity not be revealed. Afraid for his life, he said he suffers from nightmares and wakes up in a cold sweat at least three times a week. 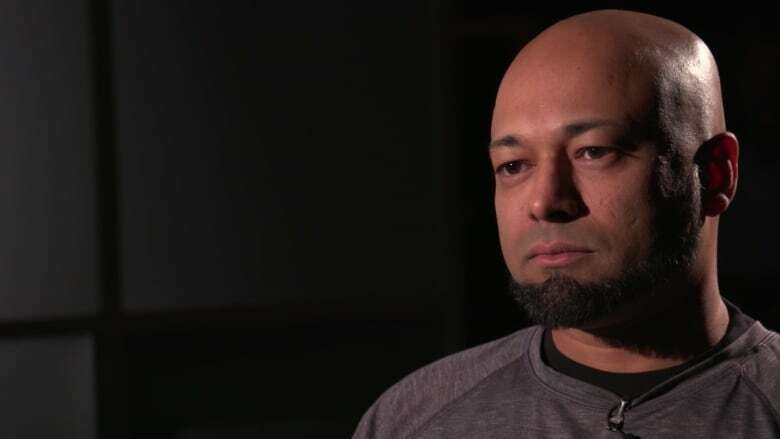 For the past year, he has been counselled by Mubin Shaikh, the CSIS and RCMP undercover agent who helped break up the so-called Toronto 18 cell that plotted bombings in the city. Abu Huzaifa said CSIS and RCMP agents have questioned him extensively since his return to Canada, but that he has not been charged. In a written statement, CSIS said it is aware of approximately 60 "extremist travellers" who have returned to Canada as of the end of August. The spy agency described "extremist travellers" as individuals who are suspected of travelling abroad to engage in terrorism-related activity and who "pose a range of security concerns for Canada." Many have not been charged, but RCMP and CSIS do not comment on individual cases. 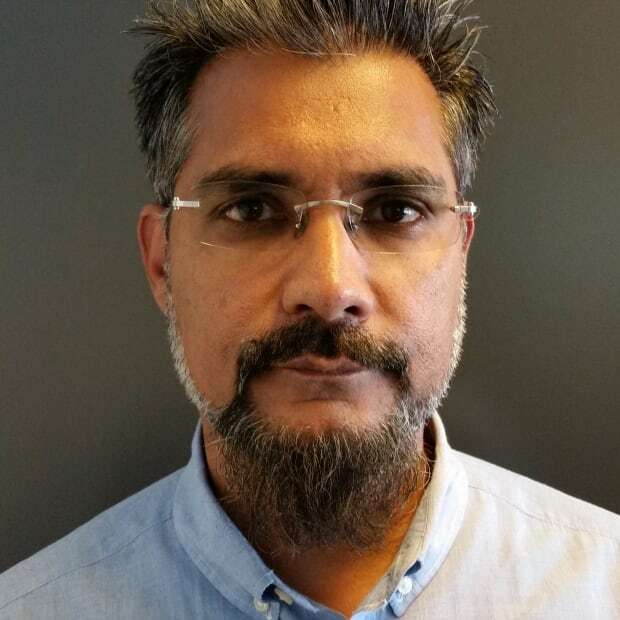 Abu Huzaifa said he was studying at a madrassa, an Islamic religious school, in Pakistan in 2013 where religious leaders were openly preaching that it was an obligation to perform jihad to liberate Muslims from oppression. "I felt it was my duty, because you could see the Syrian regime becoming godlike to its people," he said. 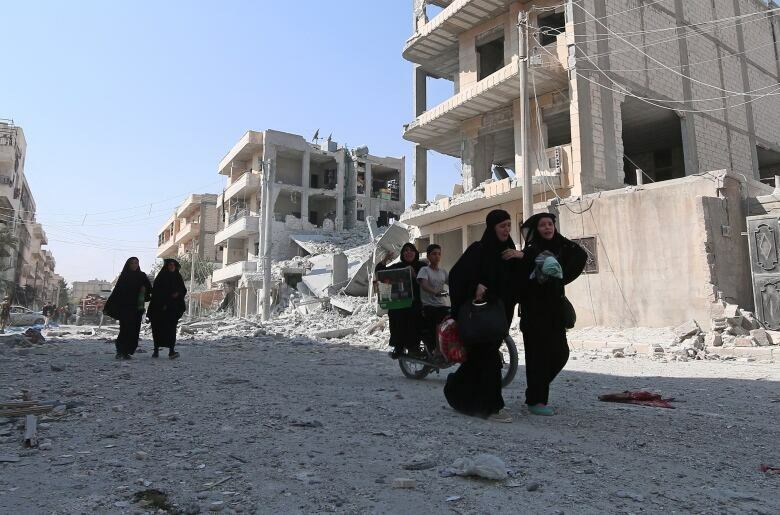 "They were oppressing the Sunni population, killing families, killing children." He told his parents he was going to Turkey for a semester abroad and booked a flight from Lahore to Istanbul, travelling on his Pakistani passport. On arrival, he was met by a contact with the help of a former Mississauga resident, Mohammed Ali, also known as Abu Turaab al-Kanadi. Ali, a former Ryerson student, joined ISIS in early 2013 and was notorious on social media for heaping praise on ISIS and encouraging others to sign up. His contact took Abu Huzaifa to the Turkish-Syrian border town of Jarablus, and from there he crossed into Syria at night. Abu Huzaifa registered with ISIS and entered the ISIS controlled city of Manbij, a city northeast of Aleppo with a population of 100,000. He said he was trained for a few weeks in the use of weapons and assigned to Al-Hisba, a quasi-police force tasked with enforcing Shariah law. He used several hundred dollars of his own savings to purchase a rifle, a Glock pistol, ISIS military uniform and tactical gear embroidered with ISIS insignia. He said the items were openly sold at shops in Manbij. "We would enforce dress codes, ensure people don't smoke, use alcohol or drugs and that men and women didn't mix," he told CBC. He said his unit would enforce ISIS school curriculum and manage its local prison. Abu Huzaifa said he was never sent to the frontlines, and although he didn't speak Arabic, he was eventually able to understand basic commands in the language. He told CBC that he made friends with other foreign fighters from Australia and Finland. The foreign fighters from central Asia were nice, he said, but they didn't speak English and he had no way of communicating with them. The only Canadian he met was Mohammed Ali of Mississauga, who went by the nom de guerre Abu Turaab al-Kanadi, the man who had vouched for him. Abu Huzaifa said he heard of other Canadians such as Andre Poulin, a Muslim convert from Timmins, Ont., who was known on social media as Abu Muslim al-Kanadi. "I stayed away from social media and kept a low profile," said Abu Huzaifa. Abu Huzaifa says he witnessed violence on a scale he could never have imagined. He had seen al-Qaeda propaganda videos, but none of that, he said, could have prepared him for the regular diet of public lashings, beheadings and crucifixions that he witnessed. It bothered him, "but ISIS told us these people deserved it because they were apostates who had to be punished," he said. "People were forced to watch, some were disgusted, some even recorded it on their phones. You have to get used to the smell, the smell is bad. It is like iron. It stirs something in you and you have to learn to suppress it." Abu Huzaifa says his family played a big role in bringing him back. "The things my mother would tell me when I was over there had a big impact on me," he said. "She would remind me about the times in my childhood, and she said you're sacrificing yourself for someone else's war." It dawned on him that he was going to die in Syria, and he kept asking himself, "What have you done with your life apart from disappointing your family?" After days of planning his escape from ISIS, Abu Huzaifa ditched his Pakistani passport and headed for the Turkish border with his Canadian passport, which he had kept hidden. The Turkish authorities arrested Abu Huzaifa after he surrendered to them at the border. He was detained, interrogated and severely beaten on a daily basis, he said. "The Turkish police told me it would be better to go back to Pakistan instead of going to Canada," he said. They released him a week later, and he returned to Pakistan. There, he was arrested and interrogated but eventually released after relatives intervened and promised he would not cause trouble. He said he began to abuse heroin, Ritalin, ketamine, anything he could get his hands on that would drown out his emotional pain. That's when the nightmares about dying started. "I would get numb, and half the night would pass and I'm just sitting in bed thinking," he said. He stayed in Pakistan for two years before deciding to return to Canada. "I have a lot to live for now. Growing up your mind matures and you start to see a lot of things you didn't see back then." Abu Huzaifa now believes that joining ISIS and enforcing its code was a violation of true Islamic principles and he is determined to complete his studies at a Toronto area university and make a positive contribution to society. His new vision for a peaceful life in Canada can be attributed in part to Mubin Shaikh. Abu Huzaifa said if he had met Shaikh three years ago he would have considered him to be an apostate. "I would have wanted to kill him. That is the truth," he told CBC. A year after the two men were introduced to each other they have developed a close friendship. Abu Huzaifa said he no longer takes drugs to drown the pain, although the nightmares continue. He hopes eventually to get married and start a family of his own. For his part, Shaikh said it will be years before "we can say this person has been deradicalized." But for now, Shaikh said, "if we can get one of their guys back on our side, it's a great victory, a great victory. We are sick of hearing that Muslims don't condemn terrorism enough. "Condemnation is not the same as countering terrorism. This is how you counter terrorism, by working with people who are affected by it directly." Nazim Baksh is an investigative producer with CBC News based in Toronto. He has won numerous awards over the years for his work on The National, The Fifth Estate and the CBC's documentary unit among more. Since 9/11, he has worked extensively on issues of national security and violent religious extremism.